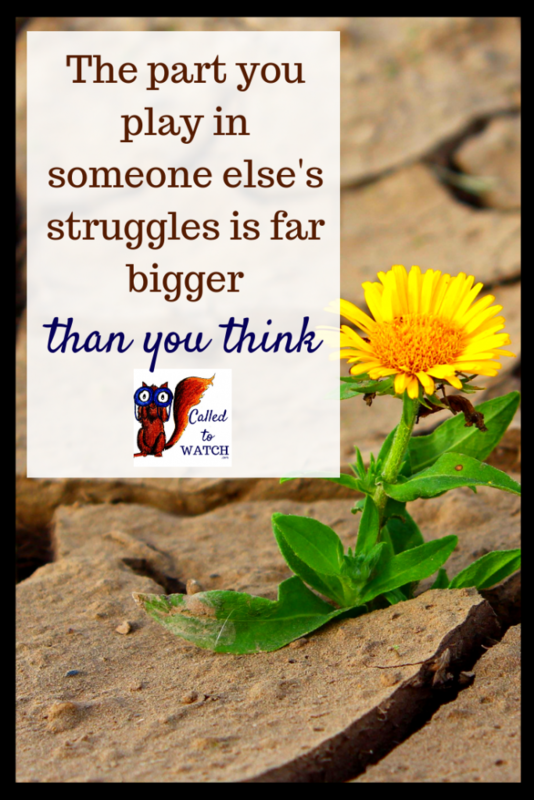 In one sense our role in someone else’s chronic illness is quite small. We certainly can’t ‘redeem’ their suffering or even carry their burden for them! HOWEVER, I do believe that Watching someone going through a hard time and “being there” for them is the very best thing you can do. That is an immense claim and it raises a lot of problematic questions (such as: does that mean everything is permissible if it saves one life? What if that person is a murderer? What does it actually mean to save a life?). Rather than delving into the philosophy behind this quote, I want to focus on the fact that every life is infinitely important. Each person is created by God, in the image of God, for a purpose and a reason. God cares deeply about each and every life – and so should we. 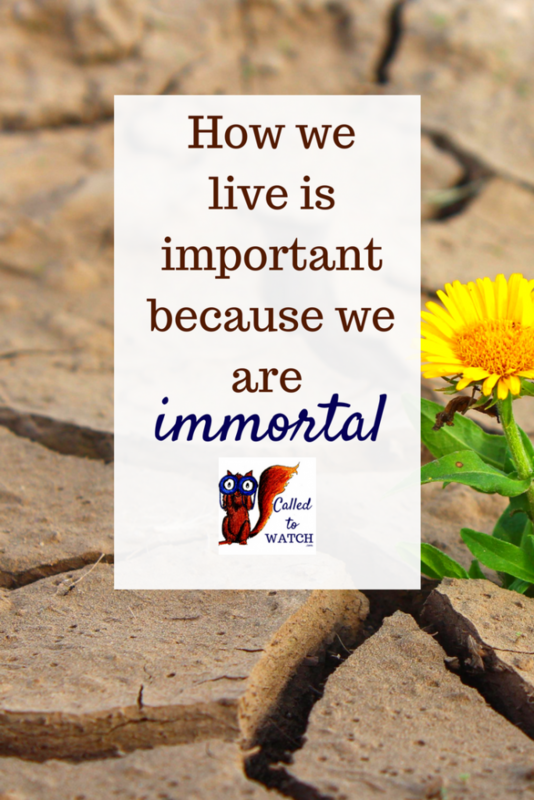 C. S. Lewis touches on this when he describes us as having “immortal souls” (The Weight of Glory). We are creatures of eternity. As a result our lives are important. Not only our lives after death, but our lives before it too. Every second that we live on this earth is one of cosmic significance. 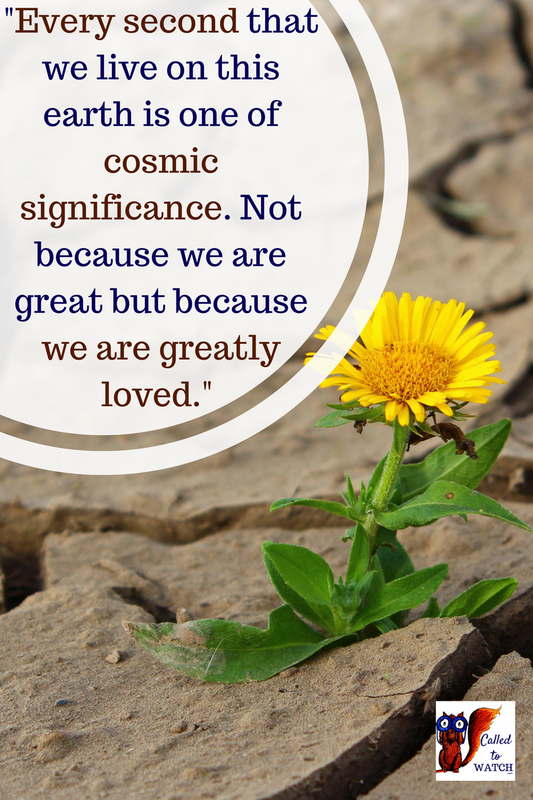 Not because we are great but because we are greatly loved. Our Loved Ones have immortal souls. There are beautiful things on this earth that only last a short while. Sunsets die away and flowers whither. 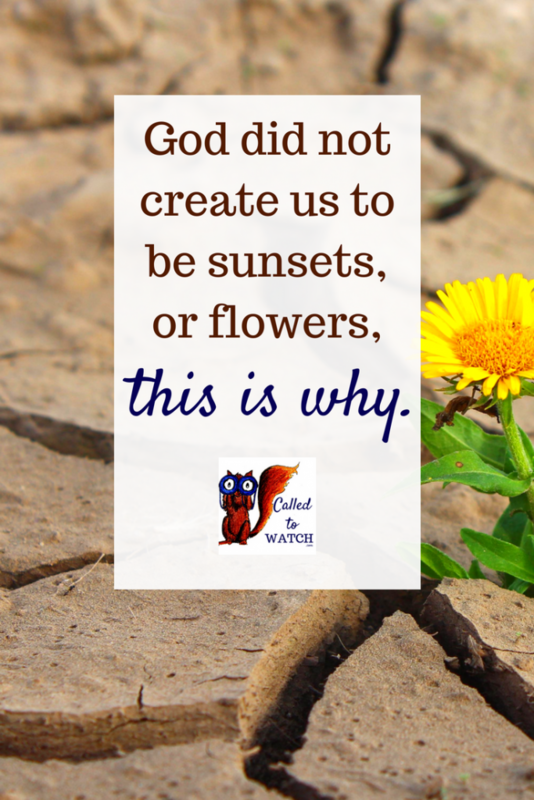 Yet God did not create us to be sunsets or withering flowers. He gave us eternal souls and in doing so demonstrated that in His eyes we are more important than all the beauties of nature. Not only so, but He sacrificed Himself to have a relationship with the human race despite the fact that we are undeserving of such love. 3: The people we Watch are not accidents or mistakes. It is this careful creation and painstaking redemption that sanctifies every prosaic moment on earth. Every smile, every phone call, every scrubbed kitchen floor has eternal consequences. Our role as Watchers is important because God has given it to us. 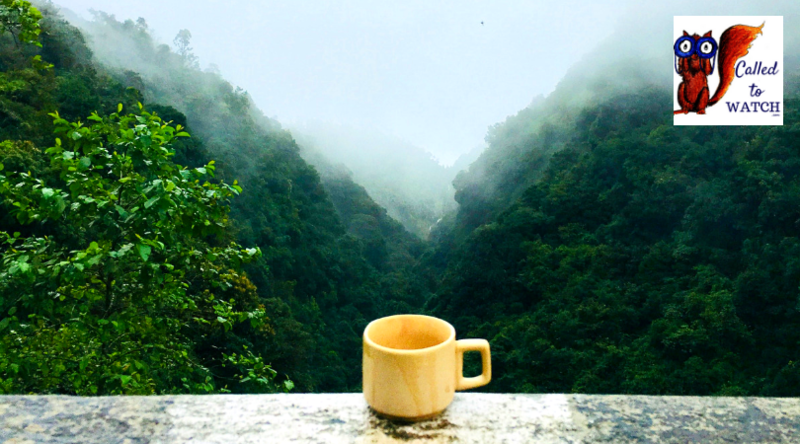 The huge sacrifices of time and money are important – and so are the tiny, speechless moments. The visible burdens are significant and so are the unseen ones. If God has said that washing the dishes is important, who are we to argue otherwise? Will you embrace your role and see it as important? While Watching is not an answer to the ‘Problem of Pain’ that doesn’t mean we’re not important. If a spoon won’t cut my toast, it doesn’t mean the spoon is useless. It simply means it was created for something else. Watching is not an antidote to suffering, but it may be a balm. We may not be able to solve their problems or even lessen their pain. Our endeavours to soothe may be useless and our attempts to help may prove futile. But standing by one person and loving them is enough. Living the life of a Watcher because we have no choice is enough. It is enough because people matter. Every one of us is precious, immortal and part of God’s plan. 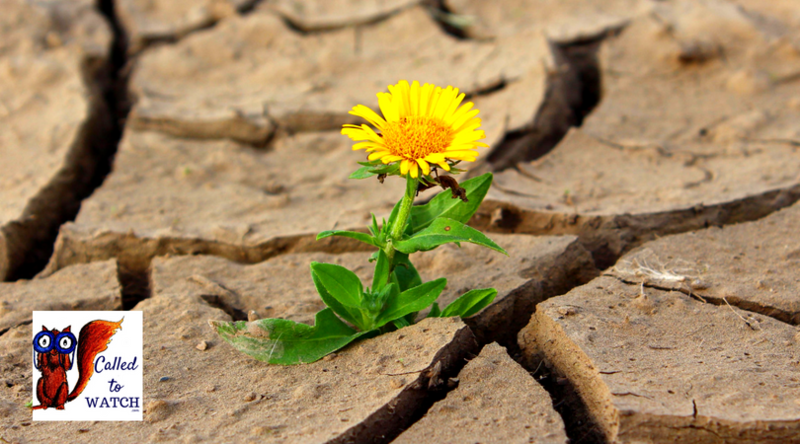 As a result our role in someone else’s suffering – even when it seems insignificant – it actually huge. // Do you believe your everyday life is important? Do you live like it is? Don’t be shy. Join the conversation and comment below!